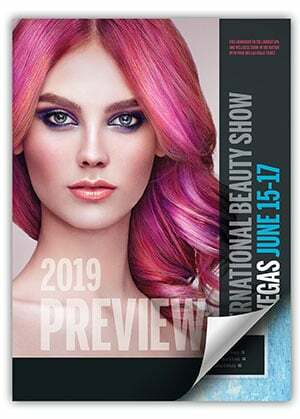 Mark your calendars - IBS Las Vegas 2019 takes place June 15-17. The International Beauty Show Las Vegas is the fastest growing event in beauty, boasting more than 21,600+ beauty professionals! Attend IBS Las Vegas to learn new skills, refine your techniques and stock up on all of your salon and professional needs. Packed with education, excitement and inspiration, IBS Las Vegas delivers what you need to enhance your career. More than 100 educational classes taught by industry heavy hitters provide the latest in hair, nails, makeup and business – FREE with your paid exhibit hall ticket! Education tracks like; Techniques & Cutting, Color & Trends, Men's Grooming, Extensions & Hair Loss Solutions, Makeup: Artistry & Income, Nail Trends, The Business of Beauty and Product Focused classes help take your career to new heights. And, for those interested in a more tactile experience, we offer Hands-On Workshops and Mastering Your Business Classes – comprehensive workshops which require an additional fee. The International Esthetics, Cosmetics & Spa Conference Las Vegas co-locates with IBS Las Vegas and features an extensive exhibit hall with leading companies and experts in the field of dermatology, spa services, equipment and massage techniques. IBS Las Vegas attendees get the opportunity to attend the IECSC show floor for FREE with their IBS admission ticket! Please Note: IBS Las Vegas and IECSC Las Vegas are open to the trade only.